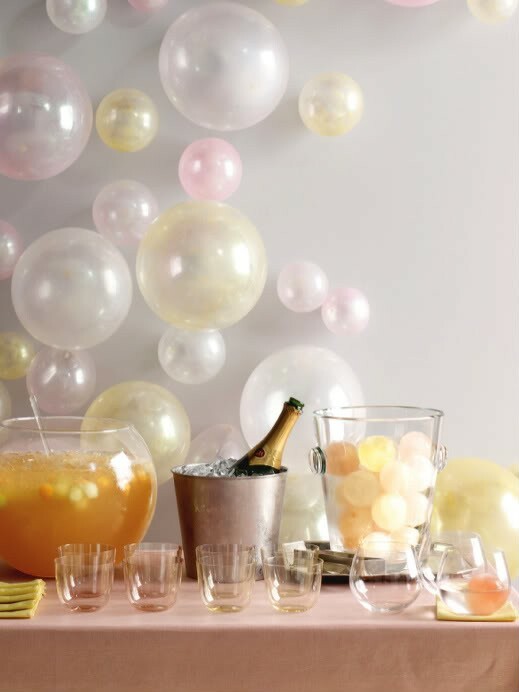 When I was younger I associated balloons with two things: terrible school dance decor in the forms of arches, and bouquets of shiny mylar balloons that friends would get on their birthday. Needless to say, neither were real high points in style or design. But, like kids in high school, even balloons grow up. And in this case, not always so with the kids from high school, they grow up to be pretty cool. 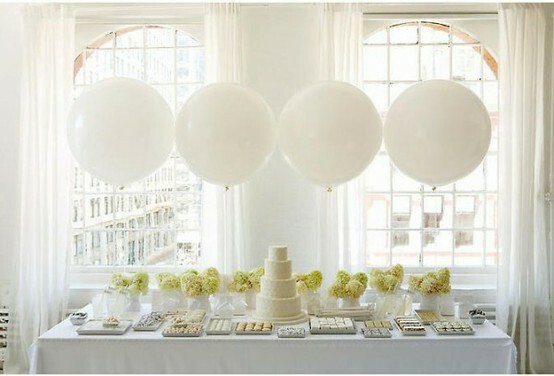 So, balloons can be big, or bold, bright or white, round or shaped, on the floor, on the wall, on the ceiling or carried by hand. They add such a dynamic aesthetic, a playful attitude and a fairly inexpensive way to reach a wow. What do you think? 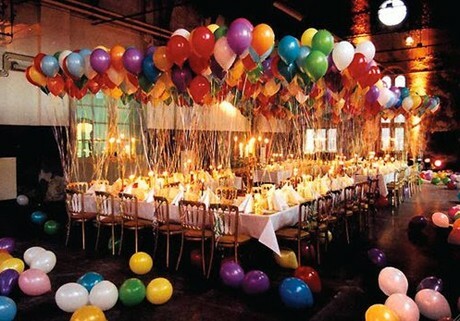 Do you have enough hot air to decorate with helium? 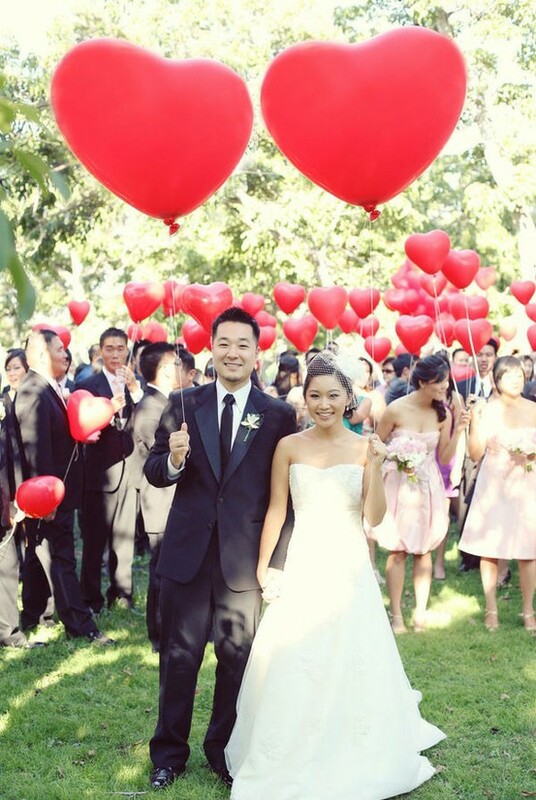 This entry was posted in Her Weddings + Events, Wedding Inspiration and tagged balloon decor, balloons, balloons for weddings, giant balloons, inexpensive wedding decorations, jumbo balloons. Bookmark the permalink.